‘Jojo’s Diary of Asia’ starts airing in August 2015, every Monday at 8pm on TLC, Discovery Channel Asia. It’s an absolute wonder Celebrity TV Host, Speaker and Wellness author, Jojo Struys looks so calm and radiantly positive, despite living life predominantly out of a suitcase for easily the busiest, most hectic year of her life. 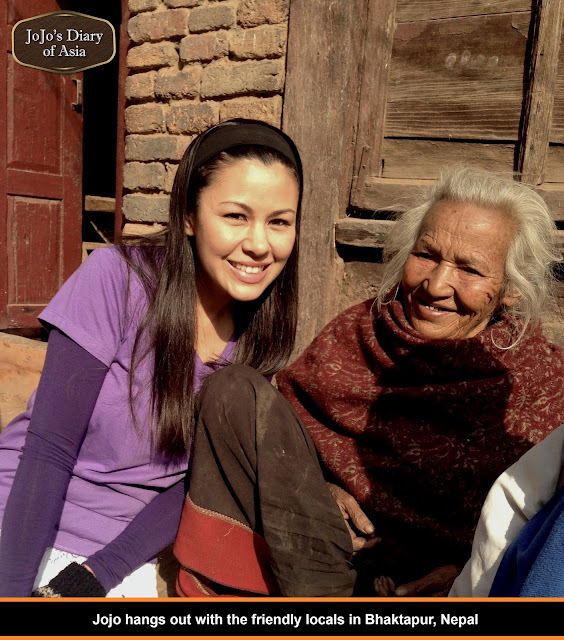 Jojo Struys and her infectious positivity is beautifully captured in a host-driven travelogue entitled “Jojo’s Diary of Asia”premiering on TLC, Discovery Channel Asia, kicking off on August 3rd, every Monday at 8pm. You will be able to catch this dynamic and down-to-earth host in action as she embarks on a fascinating journey across Asia showcasing breathtaking natural wonders, travel and de-stress escapes, and relaxation techniques to help viewers become more physically fit and mentally positive. Jojo gets ready to bath an elephant. 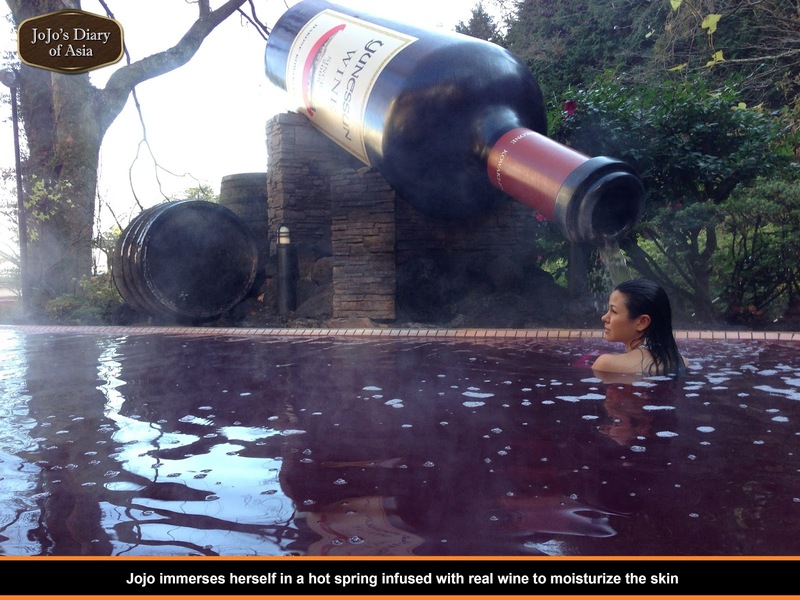 A soul enriching experience - "Jojo’s Diary of Asia"
Jojo soaks up the serenity if Karuizawa in winter time - "Jojo’s Diary of Asia"
Jojo immerses herself in a hot spring infused with real wine to moisturize the skin - "Jojo’s Diary of Asia"
Jojo learns to "live the moment"in a profound meditation session with a Zen Buddhist monk - "Jojo’s Diary of Asia"
Viewers can really feel a part of Jojo’s journey as she gets thrown into activities she has never done before while immersing herself wholeheartedly in local culture. She was more than just a face of the series. Jojo was a part of the core team at cutting edge production house, Kyanite TV where she helped conceptualize the show from its seed idea to final execution. She was completely entrenched in research and pre-production as the lead scriptwriter of the series so you can authentically hear her point of view, insightful thoughts and candid honesty, every step of the way. Her reactions were spontaneously captured in real-time from screaming her lungs out while riding the world’s steepest roller coaster to observing the power of silence while meditating with a Zen Buddhist monk. This has surely been the trip of a lifetime for Struys, across all terrain. 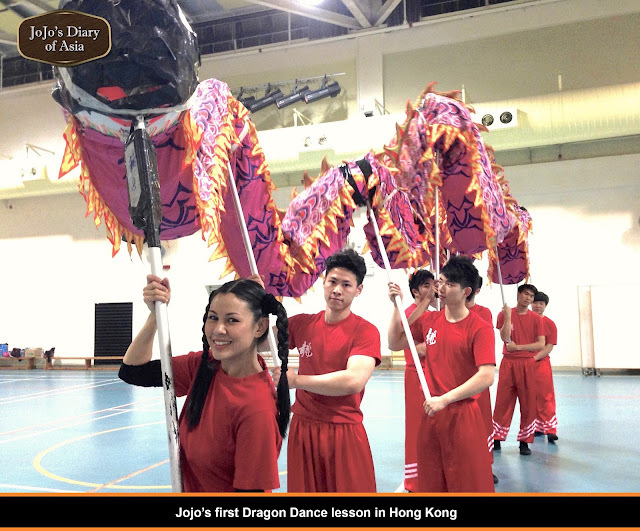 Jojo Struys'first Dragon Dance lesson in Hong Kong - "Jojo’s Diary of Asia"
So, if you are feeling stressed, and you need a bit of inspiration or ideas on where to de-stress in Asia, make sure you tune in! I've known Jojo Struys for quite some time and was wondering why she was so quiet in the entertainment scene last and this year. Now I know she was busy with her travel show and now it is gonna premiere on TLC starting 3rd of August.